I joined Knight Carpet in 1985, at 19 years of age, to come work with my father, Burneal Watts. 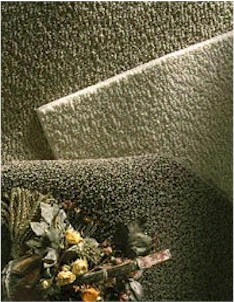 My father had went to work for Knight Carpet in the 1950's as a carpet layer's helper. He worked his way into sales/mgt eventually buying the business outright in 1982! I am proud to say he taught me everything I know about the flooring business, including customer service as priority one. I purchased the business from my father in 1995. The legacy that he helped create at Knight Carpet is of utmost inportance to me, and I strive daily to maintain our level of professionalism. My wonderful family consists of my son Shannon, a great young man who is a teaching tennis pro in San Antonio, and my daughter Shayla, a beautiful girl attending college to become a school teacher. My wife Tammy, an extremely talented women, has owned a very popular restaurant, Hickory Street Cafe, for the past 17 years, she has recently sold the cafe and is enjoying her "retirement". These 3 people are my purpose, my life, my love.